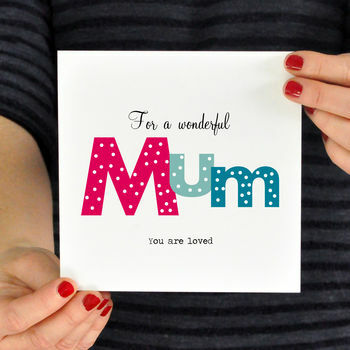 Printed large coloured letters with spots spell the word 'Mum'. 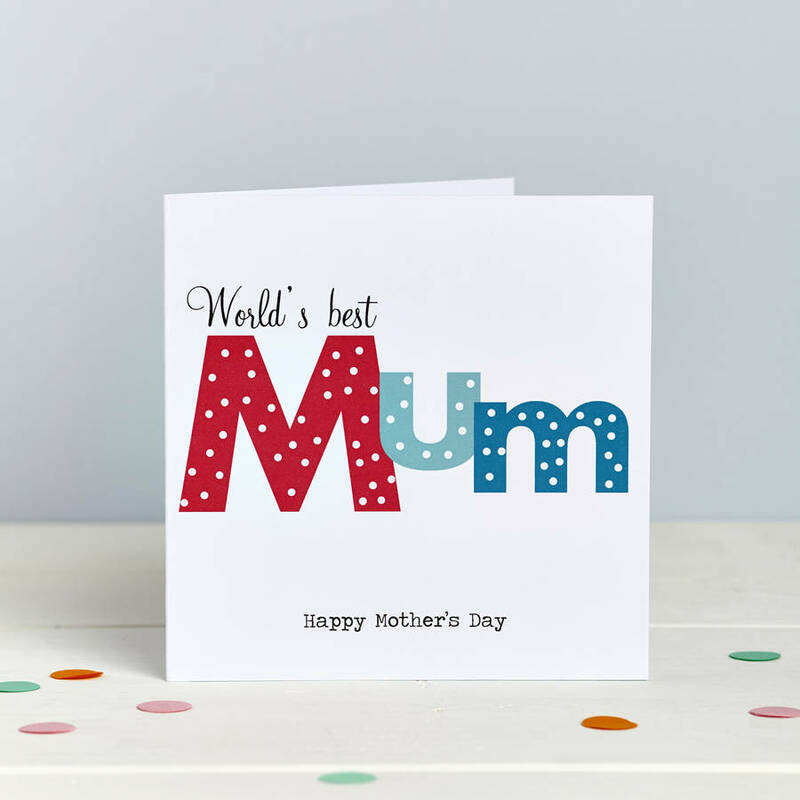 Card reads 'For a Wonderful Mum' or 'Love You Mum' or 'World's best Mum', make your selection from the drop down box. 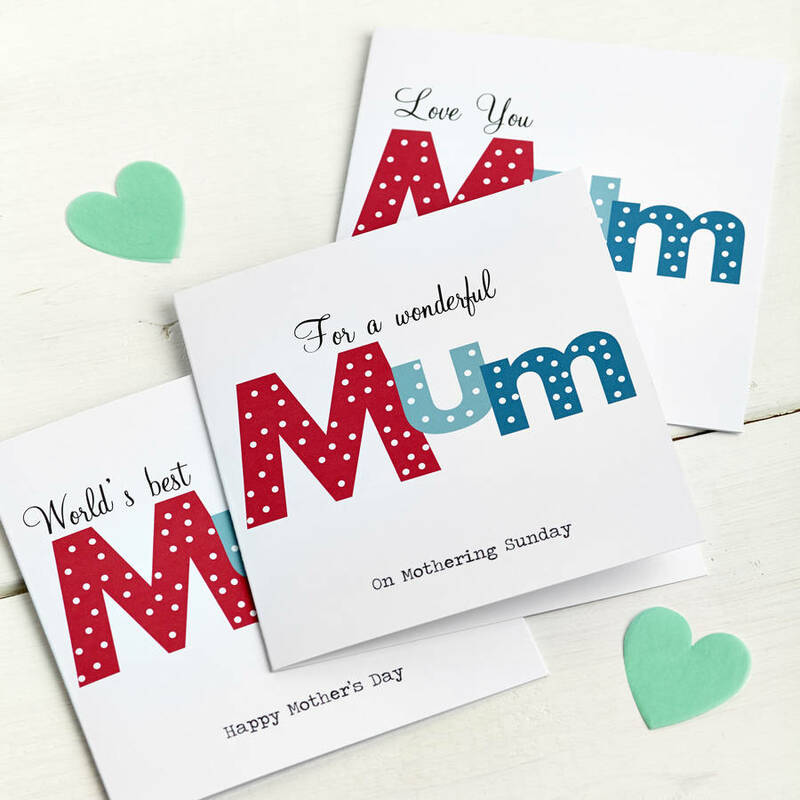 Make it personal, ideal for a unique Mother's Day, by adding your own wording, name or date to the front. Add the required text in the box provided. Blank inside. Individually cellophane wrapped and sealed with a logo sticker. 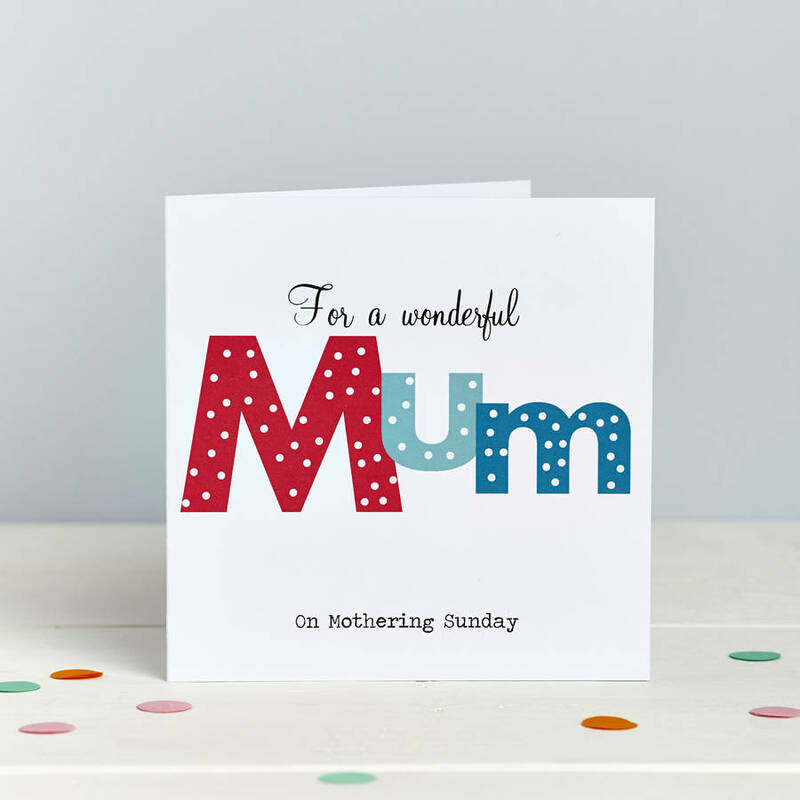 Please note due to items being handmade the layout may vary very slightly from one card to another. 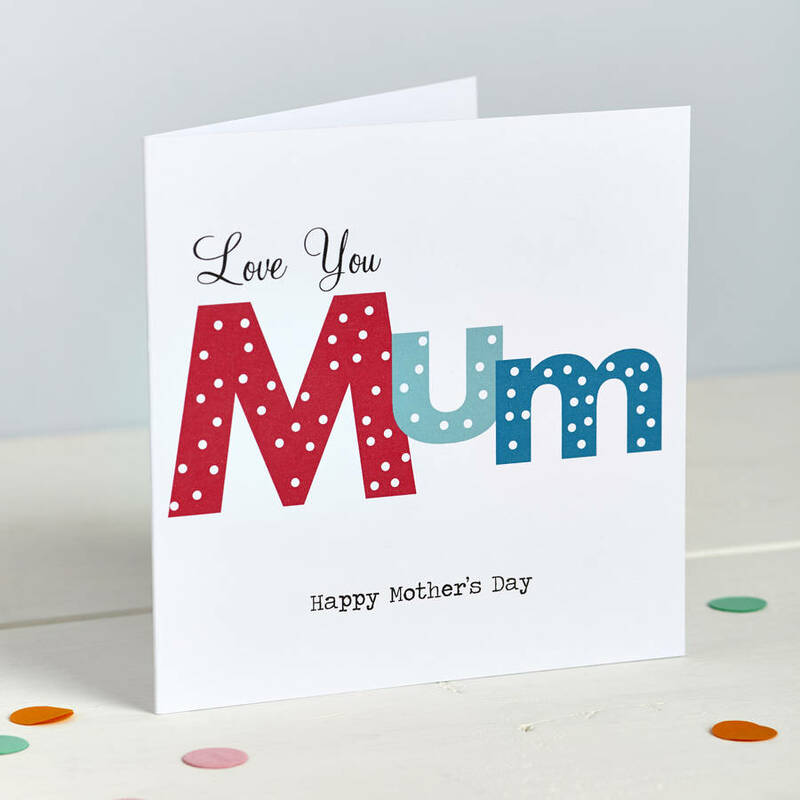 Thick white premium quality card. 150mic white quality envelope.